If you are like me, you probably love a good, hearty Keto breakfast! 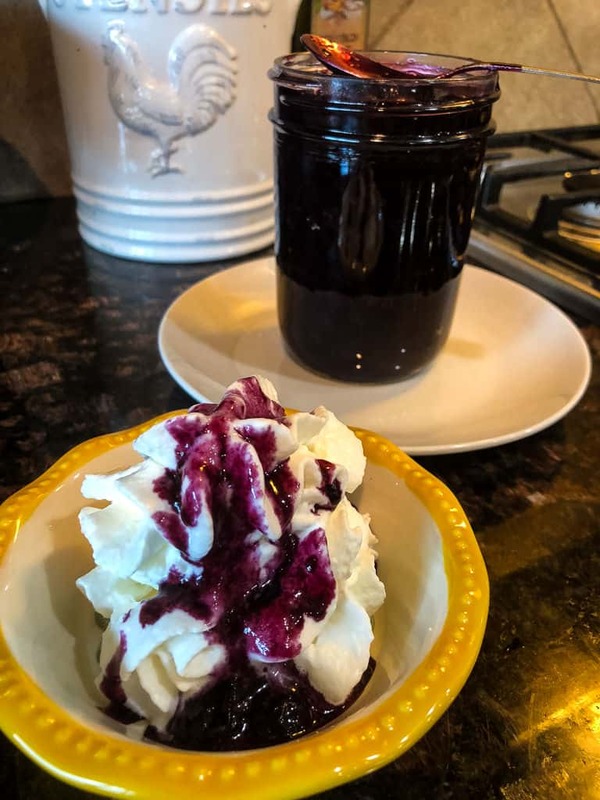 Today, I want to show you how I make the Keto Blueberry Sauce Recipe. It’s unbelievably easy! I love adding it on my Low Carb Keto Fluffy Waffles or the Low Carb Pancakes recipe we love. My whole family loves blueberries. Sometimes we buy too many. We shop at Costco. Speaking of Costco, did you know there’s a fun way to read their price labels so that you know whether or not you are getting the best deal or whether or not that same product will be re-ordered? There is! Read this Costco Money Saving Strategies and Costco Coupons article. It explains it all with photo examples of what to look for on those labels too! It’s so helpful and it’s a fun little hack to know! So, grandma used to make blueberry sauce all the time. Her recipe calls for real sugar. This is the exact same recipe that she used to use but with keto approved sweeteners instead. Super simple! My favorite sweetener to use in this recipe is Lakanto Monkfruit. I liked it so much that I reached out to the company to ask them for a special discount for all our readers! You can use promo code: lowcarbinspirations to get extra savings if you order from them. Order from the Lakanto website directly here. I also like Pyure or Erythritol too. Either one of those will work well in this recipe. When we buy blueberries in bulk we tend to either eat them way too fast before the week is over and we go shopping again or we eat them way too slow and some are at risk of going bad in the refrigerator. This recipe will help not waste those that are on the last days in the refrigerator. I hate wasting good food so we always try and use up the blueberries before they go bad. 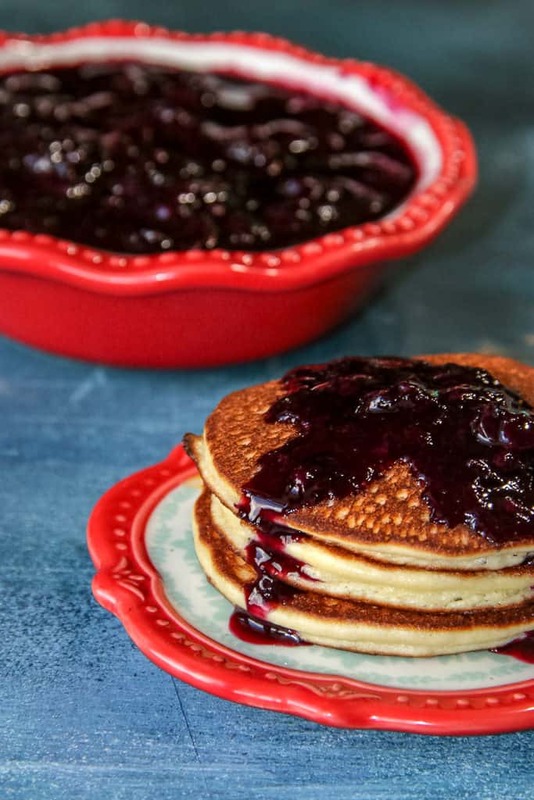 I highly suggest making this Keto Blueberry sauce recipe if you have blueberries in bulk you need to use. Heck, I make this every week! Or at least, every other week for sure! Pour the blueberries, sweetener, lemon juice and water in a medium-sized saucepan. Heat at a low temperature at cook it until the fruit has reduced into a sauce. You can choose to leave the blueberries whole and make this a compote. Or you can smash the blueberries to make the sauce thicker. I prefer to smush them myself. Once the sauce has fully cooked (I think it was 20 minutes at low temp for mine) I lightly sprinkle a 1/2 teaspoon of Guar Gum or Xanthan Gum to make the sauce a bit thicker. This is an optional step. I store the sauce in the refrigerator for up to 7 days in a closed mason jar lid. I allow the sauce to cool completely before I put it in the refrigerator. You can reheat the sauce when you are ready to use it again too. Note: You can adjust the ingredients to match the number of blueberries you have on hand too. For example, if I only have two cups of blueberries, I only use 2 tbs of the rest of the ingredients. Or if I have only one cup of blueberries, I only add 1 tbs of the rest. 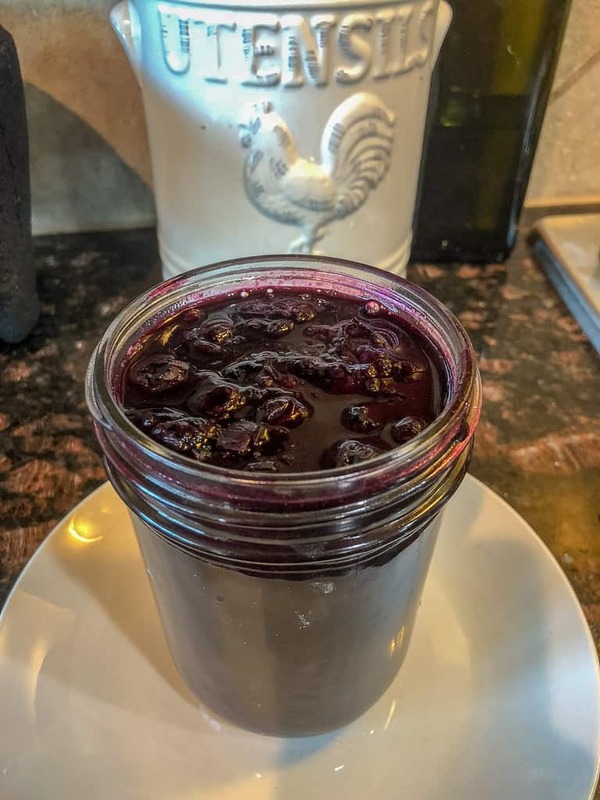 Best Keto Blueberry sauce recipe ever! 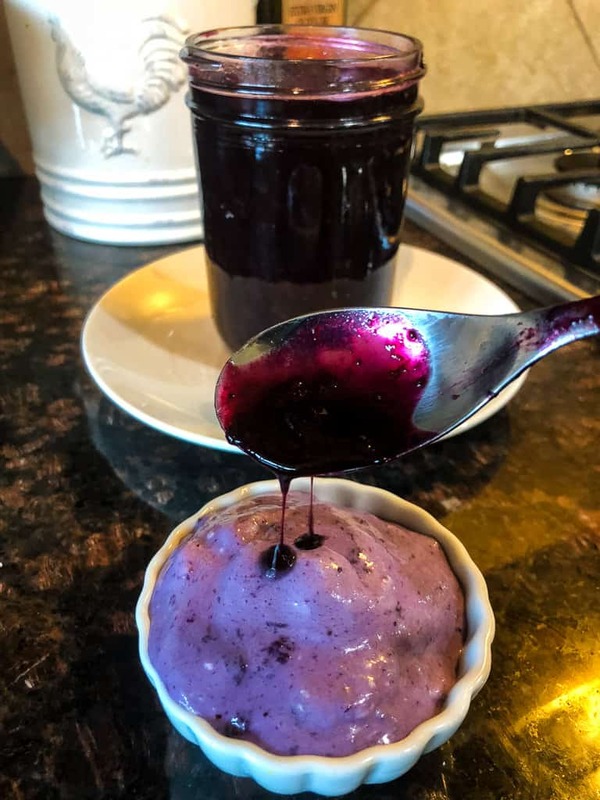 We tend to make a super yummy (and light) treat with this Keto Blueberry sauce and we call it Blueberry Fluff! My kids drizzle this over ice cream, whipped cream, and sometimes they eat it just a spoon at a time by itself! It’s so good! See, this is how blueberries never go bad in my house! This simple Blueberry Fluff is just this blueberry sauce mixed with whipped cream! By Jennifer on October 5, 2018 Keto Friendly Recipes, Keto Sauces, Low Carb Recipes, Recipes. I loved this recipe! Delicious!